Frances & Ed Maggs are engaged on a very slow circumnavigation of the British Isles in their gaff ketch Betty Alan. The last two summers have seen them in the SW and W of Ireland, and they will be showing pictures and bragging about their good fortune in having spent nearly a month in Connemara this last June, in a remarkable once-in-a-century summer. Irrespective of the weather, they are both absolutely smote with the landscapes, the culture and the sailing, and you are not going to get an impartial account. 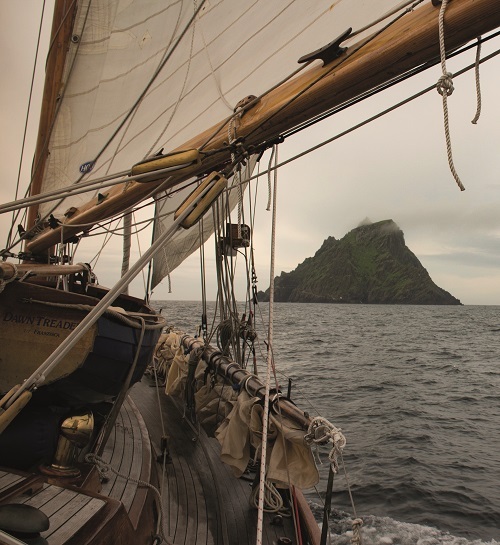 Expect tips on sailing with chemo and Alzheimer patients, how to recreate a Spanish Armada shipwreck, how to pickle mackerel, how not to help a stormy petrel, and the Curse of Inishvickallane. Date: Wednesday 20 February. Lectures and talks start promptly at 1900 hrs.